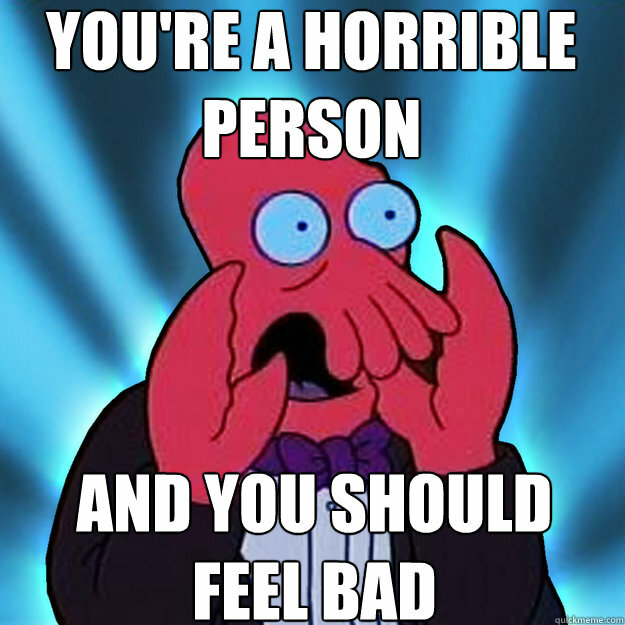 I’ve recently discovered I’m a soulless monster. My children are doomed to be soulless monsters. My children’s children are doomed to be soulless monsters. In fact, all of my descendants have a bleak soulless future. All of this was pointed out to me by a woman who was quite certain I was pure evil. What did I do to incur such condemnation–such wrath? Did I steal from anyone? Did I punch a mime in the face at a child’s birthday party? No–and he really had it coming. Did I harm any person in any manner? Did I club a baby seal? Did I club Seal the singer? Never. His music brings such joy to the world. Did I smash a neighbor’s garden gnome with a shovel then pee on its remains? Not that the authorities can prove. Did I get in the 12 items or less line with more than 12 items? Did I use the word less when the word fewer applied? Did I keep a library book overdue for an extended period of time? Was the library book I kept overdue for an extended period of time, a self-help book titled: How to be Prompt, responsible, and Stop Compulsively Lying About not Keeping Library Books Overdue for Extended Periods of Time? Did I casually comment that I didn’t care for the movie Dances with Wolves? Evidently this is the worst thing a human can do. Not only does it reveal a horribly flawed taste in cinema, but it is also a mark of disrespect for the Native American culture. Ridiculous! Did you realize the director’s cut of the movie is four hours long? If it were an erection, I would have had to call a doctor. And I can have a lot more fun with an erection than I can with a DVD of Dance with Wolves. I quite enjoyed Braveheart, does that mean I don’t like the English? Of course not. I love the English and their delicious muffins that perfectly hold in the buttery goodness. I liked King Kong, does that mean I don’t like giant apes, and want to drop them from skyscrapers? 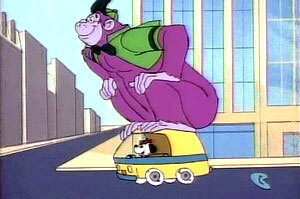 I love giant apes in every incarnation, from Mighty Joe Young to Grape Ape. He’s a giant ape and he’s grape–what’s not to like? I really enjoyed Mississippi Burning, does that mean don’t like the KKK? Okay…that was a bad example. I thought The Children of the Corn was creepy and disturbing, does that mean I think children and corn are creepy and disturbing? Corn isn’t creepy and disturbing. I liked Roadhouse, does that mean I have a flawed taste in cinema? Probably, but what are you gonna do? I have no idea what that movie is about; it was so dreadfully boring, I quit paying attention early on. I think Lawrence of Arabia is one of the greatest movies ever made, does that mean I don’t like the Turks? To be honest, I spend precious little time contemplating the Turks. I liked The Road Warrior, does that mean I want cataclysmic events to wipe out the majority of the world’s population? The point is, I didn’t like Dances with Wolves because I didn’t like it. It’s just an opinion, and I’m allowed to have it. If you’ve read this blog to any extent, (and if you have–I apologize) you understand my personal preferences are a little off in many regards. 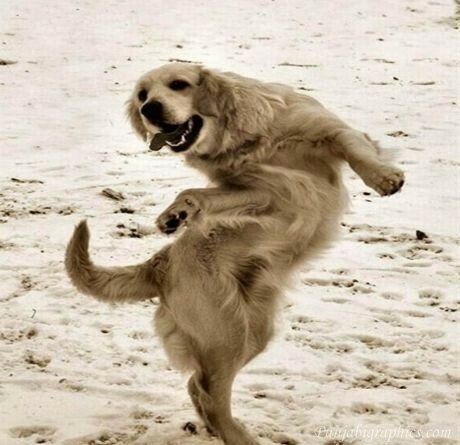 If the movie had been about this dancing dog, I would have loved it.